Space maximizers – Custom cabinets in Toronto are huge space maximizes. Because every home is different and every homeowner has different needs, you need custom solutions that will help you make use of your space more wisely. 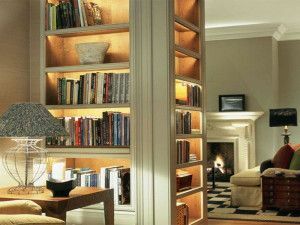 Working with custom closet and storage space designers will help you create more ideal solutions for your home spaces. They can help keep your interiors more organized as they plot every room’s layout and take your space requirements into consideration so you can have custom storage solutions in Toronto that offers the right amount of storage without eating up unnecessary space that can be used for other purposes. Dual-purpose installations – Custom storage cabinets in Toronto can also act as convenient space dividers, especially for homes or spaces that follow an open floor plan. Specially designed cabinetry and shelving units are efficient and stylish dividers for separating areas like living rooms and dining areas, along with other areas that you want to define, all while providing you additional storage space. Seamless storage – Custom cabinetry also allows you to easily and conveniently store larger household items and even furniture away. Such is the case for wall beds or transforming tables, and other smart dual-purpose solutions that help conceal other essential home furnishings with your custom cabinetry and storage solutions. Smart and seamless storage solutions help keep homes organized and at the same time create more living space that can be used for other practical purposes.